Corel Corporation (NASDAQ:CREL; TSX:CRE), a leading developer of graphics, productivity and digital media software, today announced that ASUSTeK Computer Inc. (TSE:2357), (ASUS), is bundling InterVideo WinDVD with its complete line of ASUS BD/HD notebooks. Designed to deliver all of the benefits of high-definition audio and video without the complexity, WinDVD is the world’s most popular video playback and navigation software. ASUS BD/HD notebooks to be bundled with WinDVD include the Lamborghini VX2; the G1, G2 and W2 series for gaming and digital entertainment; the F3 series for business; and the A7 series for personal digital entertainment. On the audio side, WinDVD includes support for DVD-Audio, Intel High Definition Audio, Dolby Digital, Dolby Headphone, Dolby Virtual Speaker and DTS™ Digital Surround Sound, as well as SRS TruSurround XT. With an increasing number of consumers choosing notebooks for their first PC, and existing PC users upgrading to notebooks from desktop PCs, ASUS, one of the world’s largest producers of mobile computers, is experiencing tremendous growth. The company shipped 1 million units in Q4 2006, an increase of 36 percent over the previous quarter. DisplaySearch, a market research firm, predicts that the notebook PC market will continue to surge, growing from 78.802 million units in 2006 to almost 97 million units by Q4 2007. WinDVD also leverages the power of NVIDIA PureVideo™ HD technology hardware acceleration capabilities incorporated in today’s new notebooks to deliver highly efficient hardware decoding for playback of H.264, VC-1 and MPEG-2 movies. Graphics cards and notebooks based on the latest GeForce 8600, GeForce 8500, and GeForce 8M Series GPUS offload the complex H.264 decoding process from the CPU, to free the CPU for other tasks, reduce power consumption and extend battery life. The ASUS BD/HD series notebooks redefine the mobile entertainment experience by combining WinDVD’s advanced playback and navigation technologies with Intel’s low-power technology leadership and ASUS’s expertise in delivering solid reliability. Equipped with the latest Intel Centrino processor technology, the powerful ASUS BD/HD notebooks provide an enhanced digital experience and enable users to enjoy audio and video playback, recording, mobile gaming, instant messaging and Web-browsing simultaneously. Consumers can choose from complete, ready-to-use notebooks for business computing, personal digital entertainment and mobile gaming with either Windows XP or Windows Vista™ for their operating system. ASUS BD/HD notebooks bundled with multilingual versions of WinDVD will be available through ASUS’s worldwide retail channel in June. For more information, visit the company’s homepage at http://www.asus.com. The WinDVD DVD/HD playback engine is available through Corel for licensing to OEMs, system integrators and other third parties. 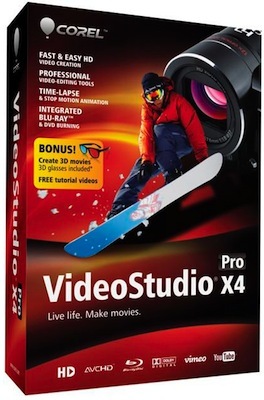 WinDVD is marketed to consumers through Corel’s worldwide reseller organization and online at http://www.corel.com. Corel is a leading developer of graphics, productivity and digital media software with more than 100 million users worldwide. 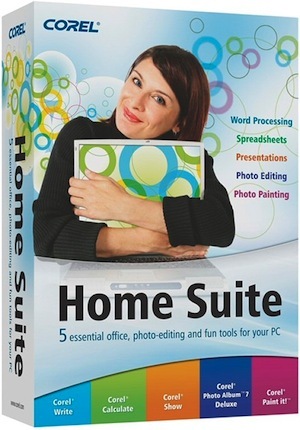 The Company’s product portfolio includes some of the world’s most popular and widely recognized software brands including CorelDRAW Graphics Suite, Corel Paint Shop Pro, Corel Painter™, Corel DESIGNER, Corel WordPerfect Office, WinZip and iGrafx. In 2006, Corel acquired InterVideo, makers of WinDVD, and Ulead, a leading developer of video, imaging and DVD authoring software. Designed to help people become more productive and express their creative potential, Corel’s software strives to set a higher standard for value with full-featured products that are easier to learn and use. The industry has responded with hundreds of awards recognizing Corel’s leadership in software innovation, design and value. 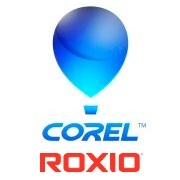 Corel’s products are sold in more than 75 countries through a well-established network of international resellers, retailers, original equipment manufacturers, online providers and Corel’s global websites. The Company’s headquarters are located in Ottawa, Canada with major offices in the United States, United Kingdom, Germany, China and Japan. Corel’s stock is traded on the NASDAQ under the symbol CREL and on the TSX under the symbol CRE.